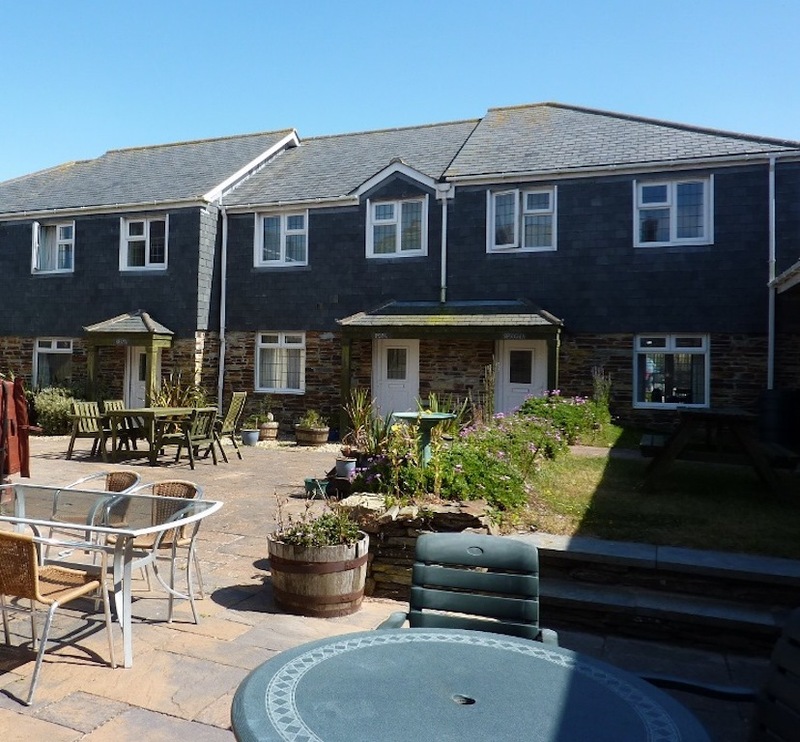 Gwylam (Cornish for Sea Gull) is a West Wing, 2 bedroom cottage. 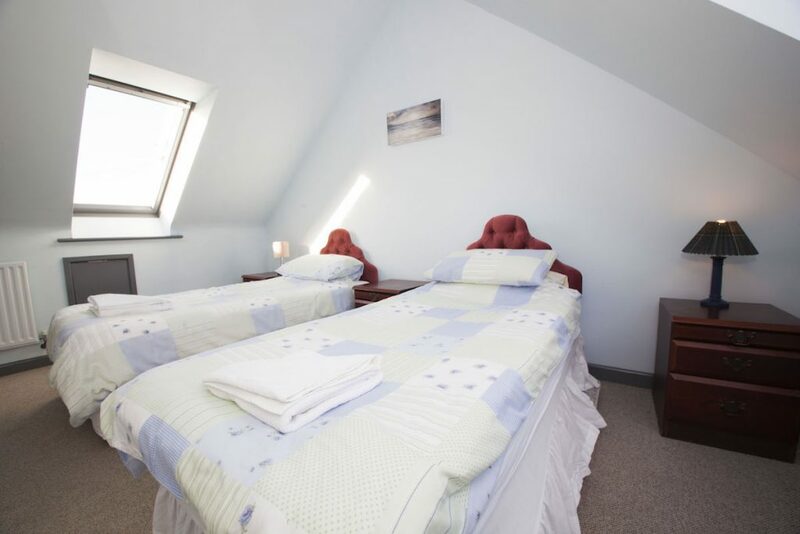 The feature of Gwylam is that it sleeps 5 having a double bedroom plus a twin bedded room with a pull out bed to sleep a 5th person. 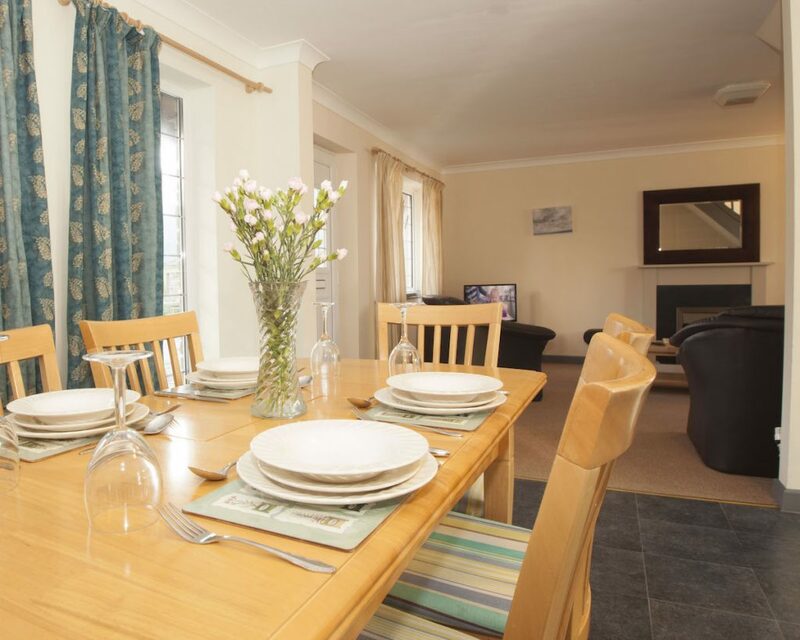 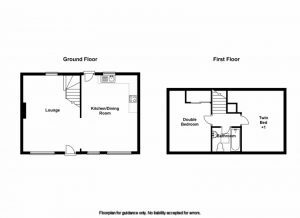 Downstairs is the open plan kitchen diner and lounge popular in the other cottages which creates a practical and light living space. 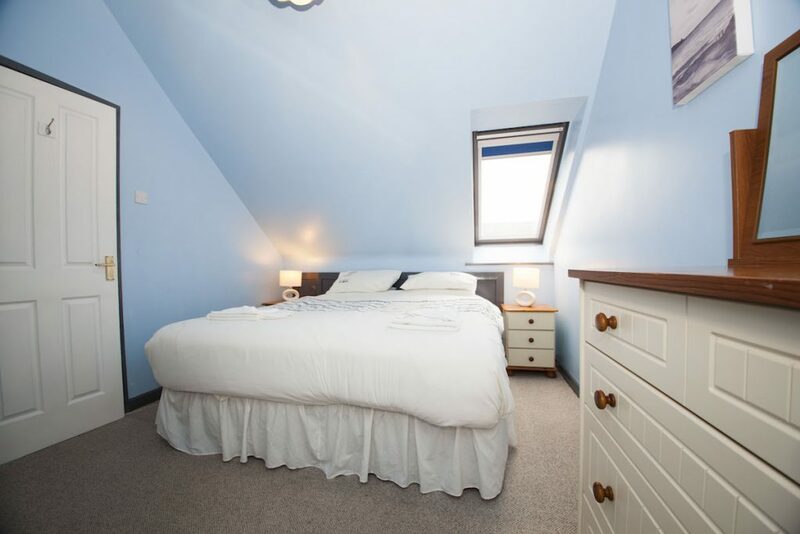 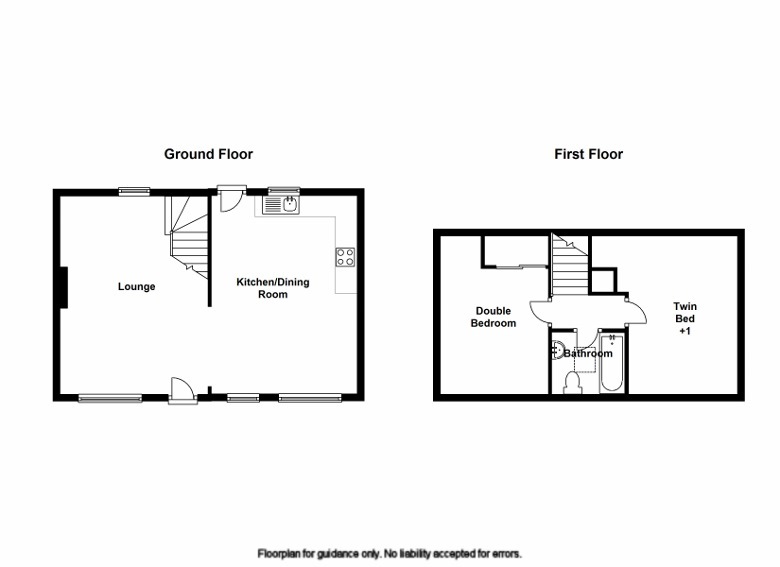 Upstairs is a double bedroom, triple bedded room and master bathroom with bath and shower. 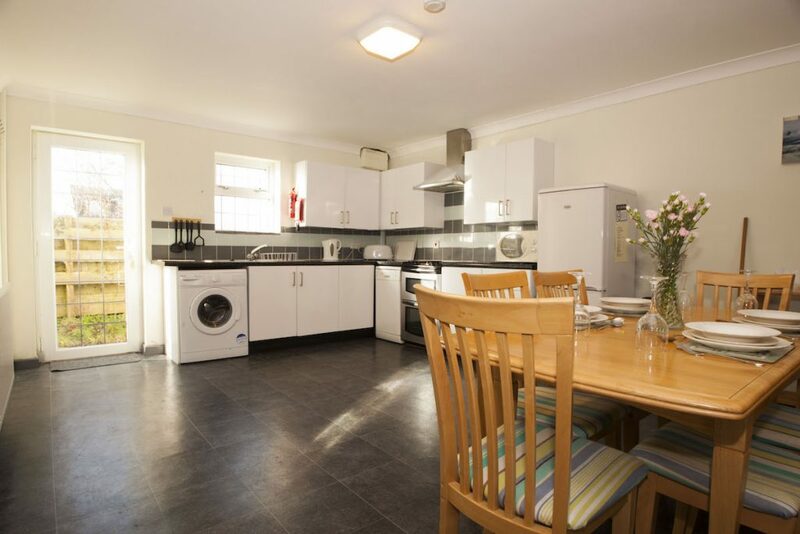 The kitchen is fully equipped with inset hob, inbuilt oven/grill, microwave, fridge freezer, dishwasher and washing machine. 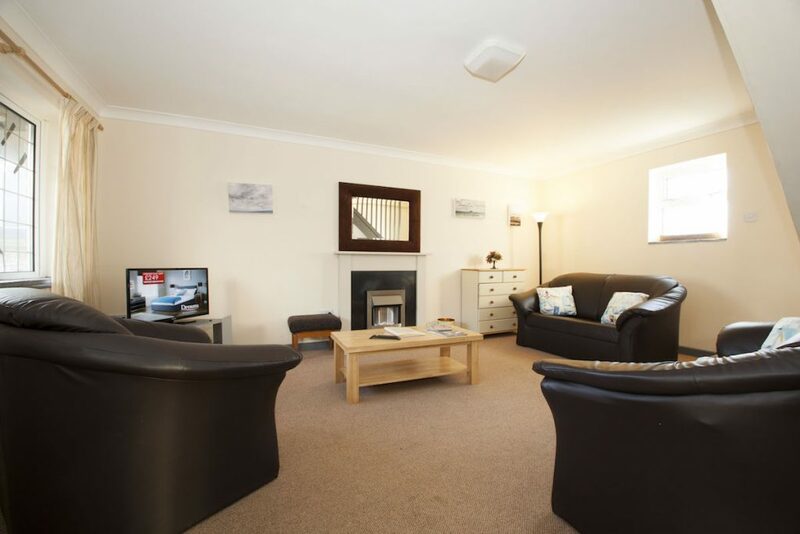 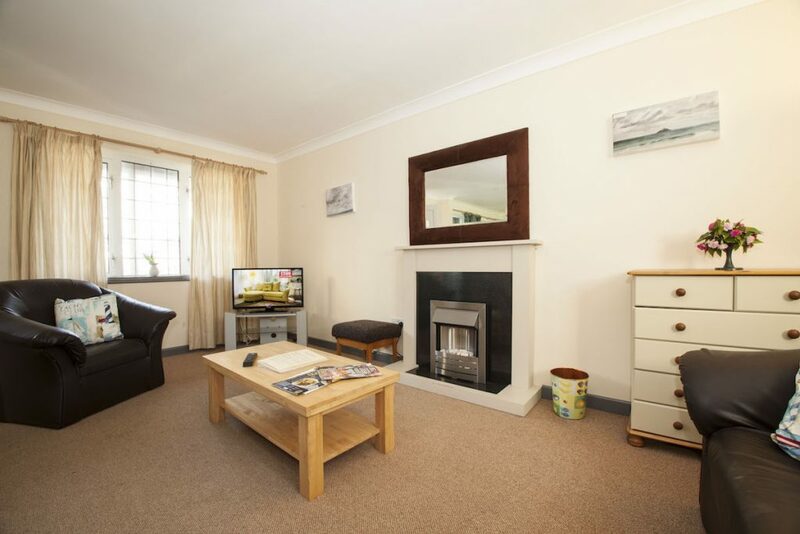 The lounge has TV and dvd player and free WiFi is available in the cottage also. 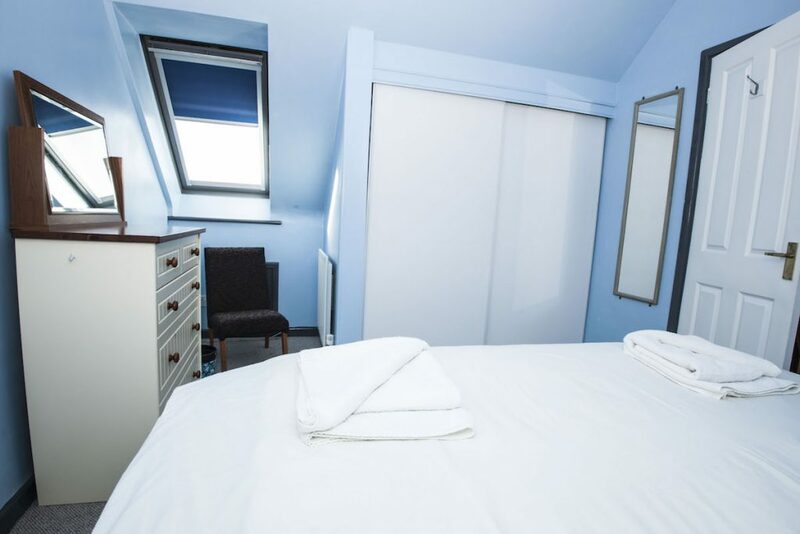 All bed linen, towels and kitchen linen are provided together with starter amounts of washing up liquid, dishwasher tabs etc. 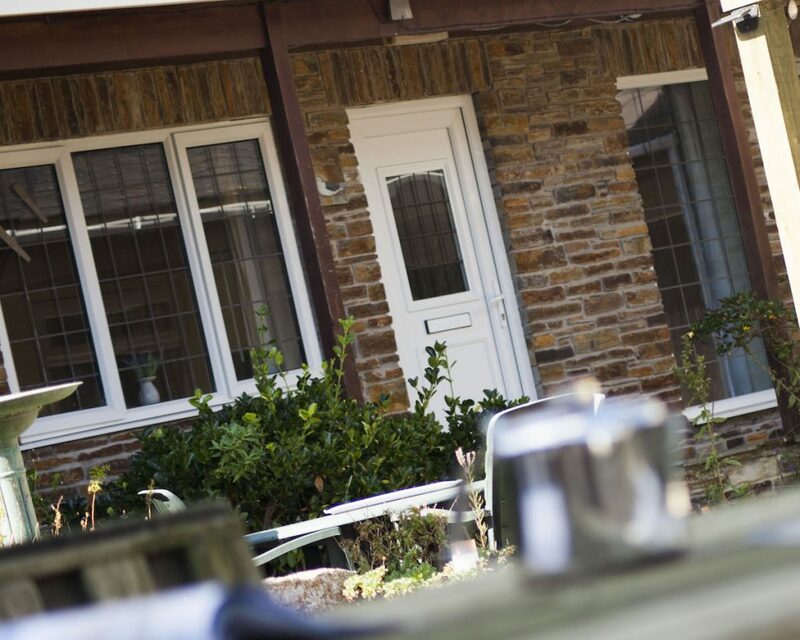 You can check availability and book Gwylam quickly and easily online below, and payments are secured by Worldpay. 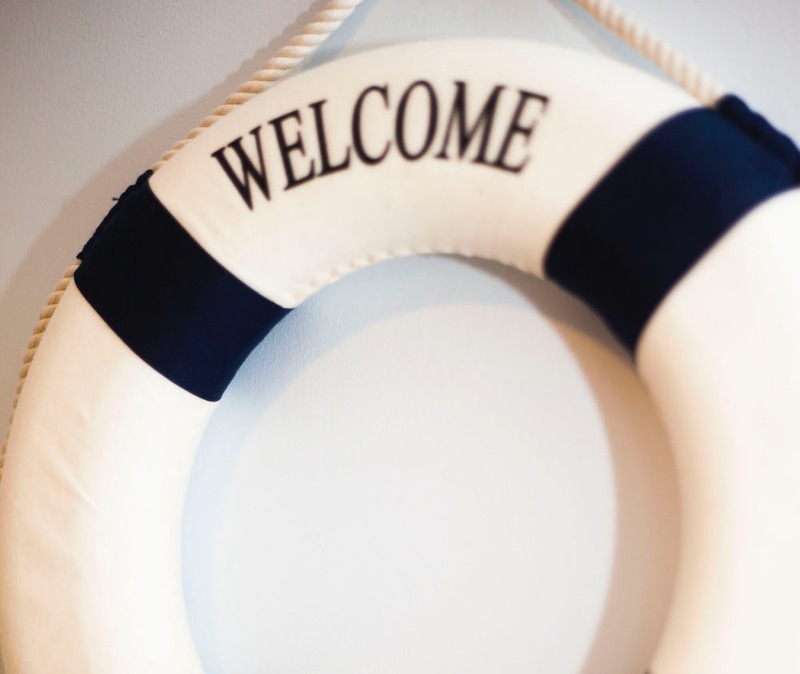 However if you have any questions, such as for group, package or discount bookings then give us a call on 01841 520206 and we’ll be happy to help.